Lucasfilm has announced that Star Wars Episode VIII has been delayed. Originally scheduled to open May 26, 2017, the new release date is December 15, 2017. The full press release is below. Is this an attempt to recreate the nearly $2 billion earned by Episode VII: The Force Awakens? Does Disney not want Star Wars to compete with their other profitable space series -- Guardians of the Galaxy? (Guardians of the Galaxy Vol. 2 opens May 5, 2017.) Or did director Rian Johnson need more time to finish the film? Let us know your thoughts in the comments! 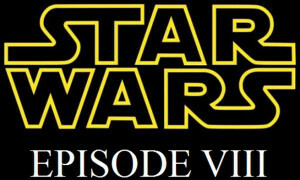 Star Wars: Episode VIII to Open December 15, 2017 The release date for the next film in the saga is confirmed. Today, Disney and Lucasfilm announced that Star Wars: Episode VIII, originally scheduled for release in summer 2017, will now debut on December 15, 2017. The move follows the extraordinary success of Star Wars: The Force Awakens, which was the first Star Wars movie to premiere outside the traditional summer blockbuster window and smashed numerous records, including biggest domestic and global debuts of all time as well as the biggest domestic second and third weekends, en route to becoming the highest grossing domestic release of all time with over $861.3 million and the third biggest global release ever with $1,886.7 billion. Written and directed by Rian Johnson, Star Wars: Episode VIII is currently in preproduction and will begin principal photography in London next month. Kathleen Kennedy and Ram Bergman will produce and J.J. Abrams, Jason McGatlin, and Tom Karnowski will executive produce. Stay tuned for exciting updates in the coming weeks.